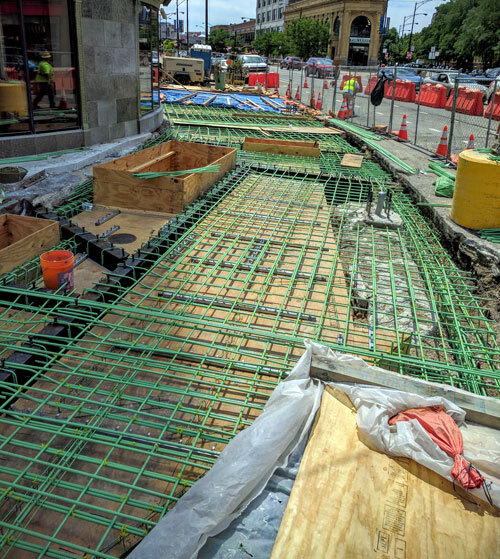 It looks like the concrete is about ready to be poured for the sidewalks outside Bridgeview Bank at Broadway and Lawrence. It's been an extensive undertaking to shore up the infrastructure there, and is the reason the Broadway streetscape has been delayed. We look forward to having new sidewalks soon, and we're sure Starbucks is looking forward to having its sidewalk cafe space back.